For a coffee addict, becoming a coffee distributor can be the ideal marriage of business and pleasure. No matter your target demographic, it’s very much important to become knowledgeable in the production and types of coffee from various regions of the world. Your information and knowledge of coffee, in addition to your ability to acquire many varieties, will make you a helpful distributer to the nearby restaurants, coffee shops and etc. Evaluate your startup costs. In addition to a business plan, you will also need some idea of how much money it will take to get your business up and successful. As a distributor, your single largest expense will be inventory. You will also need a location for your business, office equipment, and some warehouse equipment. You may consider starting off small as your business builds a reputation. As your business grows, you can move into bigger facilities that can accommodate your inventory needs, such as a distribution warehouse. You may consider tasting different types of coffee. Hold a tasting in your shop or with your friends and family and find out which coffee you like the best. Determine the taste of coffee you like the best and then distribute that particular type of coffee. Communicate with the makers of the brand(s) of coffee you want to distribute. Get to know if they have a specific distribution program or if you can purchase their coffee wholesale and sell it on your own. Ensure you understand what the minimum orders are and any other fees and costs for which you will be responsible. Market your coffee to area stores, restaurants, and other whole sellers. Take samples and unique varieties. Be ready to talk coffee to your potential clients. Make sure you try all of the varieties you sell so you can give honest knowledge about it. Leave samples for restaurants and store owners to test for themselves and offer to customers. Receive orders from your clients and place the order with the coffee wholesaler with whom you are working. Stay in contact with your clients. Don’t be troublesome and bother them all the time for new orders, but make a habit of stopping in every week or so to have coffee and let them know about new discounts or products that come out. Hire potential employees. As your business is going to grow, you won’t be able to supply to the shops and restaurants all at the same time, hence you will be needing extra hands to run your business. Your target markets are the shop owners, restaurants, coffee shops. You have to maintain a good relationship with your clients. Keep on checking if they are need of coffee distribution. You do need a degree to start up your business. But this business is unique, hence it would be better if you could educate yourself about how to run this business. You can visit the potential distributor companies, see how they manage their business and how they manage to make themselves well-known in this field. Get to know the pros and cons of this business. If you are able to run your business, then you will be rolling in money by the third year of this business. 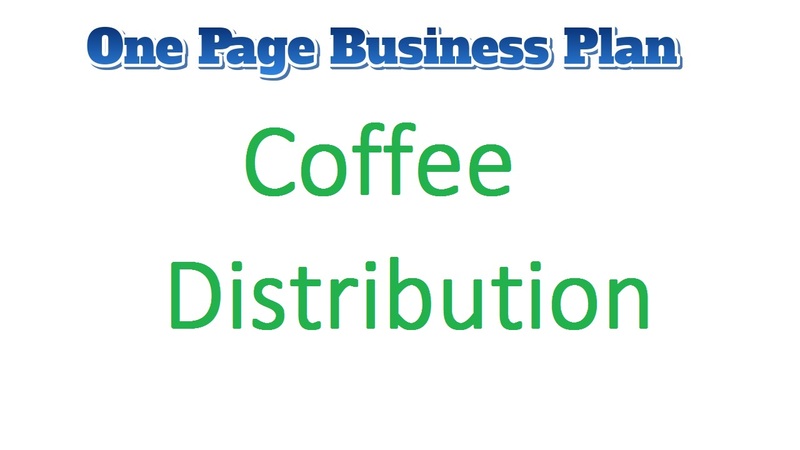 Potential coffee distributors earn around 1,000,000 by the first year of their business. Here success to your business is not losing your clients. Hence you have got to maintain a good relationship with them and market your shop to the famous coffee restaurants and shops.